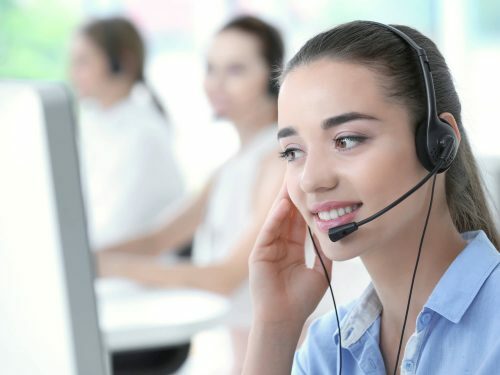 If you are a call or contact centre outsourcer, BPO or offer phone reception services you know how tough it is to generate quality customer solution leads. Those wasted moments where you’ve spent time writing proposals, returning phone calls and emails that go nowhere or responding to poor quality leads that were never qualified correctly. Enter our CX Connect service: a smarter way to source quality business customer solution leads. We don’t just tick and flick contact details and call it a lead. We’ll deliver you high quality, pre-qualified, industry-specifics leads designed to help you convert. Essentially we’re like an extra Business Development Manager for you, taking the time to understand the customer’s requirements and asking all the questions your BDM would (or should!). We fully qualify all our leads before we hand them over to you – from the size of the campaign, key objectives, preferred commercial models, technology requirements, training requirements and more. And with our purpose built Supplier Dashboard for call centre outsourcers, you also get to define the type of leads you’d like to receive from us. From minimum campaign sizes, no ‘commission-only’ leads etc – you get to specify it all in our Suppliers Portal. This ensures that when you do receive a lead from us, its a lead that won’t waste your time. Importantly, there is no cost to join – you’ll only pay a small commission to us on successful conversion of the business customer solution leads we send you (and we’ve even got generous payment terms). There is no cost to join and you only pay a small commission on leads you successfully convert so you’ve got nothing to lose by signing up (other than missing out on some great leads). From minimum volumes, commercials models and more – you can control all the lead parameters for what we send you in your Supplier Dashboard so you never waste your time on an unsuitable lead again. Because we take the time to fully understand the customer’s requirements you’ll only be referred leads you have a high chance of converting. Complete the form below so we have the details to prepare your Supplier Agreement and learn a little bit more about your outsourcing/BPO business. Our agreement will contain our Terms & Conditions including our commission structure. Once we receive a signed contract back from you we’ll provide you with access to our Supplier Portal. We need this information to prepare your Supplier Agreement. This information will NOT be made public. Total number of years your business has been in continuous operations. Did you know our Call Centre Outsourcers Business Directory gets lots of traffic from people specifically looking for a call centre outsourcing solution? Would you like to receive a one-off special offer for our paid listings? Read our frequently asked questions for customer solution providers or contact our Australian based support team.